Equi-Heart Pledge: Day 11: Healing Past Lives with Horse! Day 11: Healing Past Lives with Horse! The cool thing about accessing a painful past life is that FEELING IS HEALING. If you come upon a painful feeling from another time and place (or this lifetime!) and you allow yourself to go fully into the feeling, feeling it as deeply as you can, for as long as it runs it's course, without prematurely ending it, then typically the emotion will clear itself. You will have healed another layer of darkness keeping you from your Wholeness. That's what happened for me in the shower (and has happened countless times out with the herd). Once the emotion ran it's course, I felt a quiet stillness of peace. And the next day? That depression was gone. Now, if I had resisted that depressed feeling and failed to look at it more closely, it might have hung around for several days trying to get my attention (and believe me, I've done that plenty of times too). But typically when we have the courage to move into the feeling, in our bodies (not the stories in our minds), the feelings can heal themselves, opening a space for a new, brighter energy to enter. 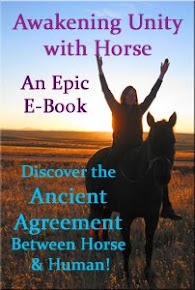 If you need some tools to help you work through those feelings, grab your free report: 5 Steps to Healing with Horse here. Here's another one of an Indian lifetime with Serendipity: What Wants to be Released in You? 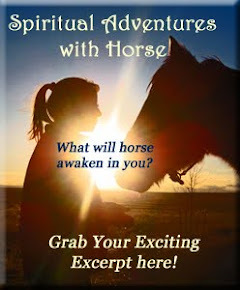 I used to be a skeptic- but after all of these experiences with my Horses as Guides- I'm now a believer! Perhaps you will be too! There are lots of great books on past lives to scope out- many written by MD's who were originally skeptics too until their evidence became overwhelming. I've also found hypnotherapy a helpful avenue to access and heal trauma from other times and places. So if you have a persistent symptom or pattern that nothing seems to heal or makes no sense based on your life experience, get curious! The answer may be hiding in another lifetime! Have you had a past life experience with Horse? Please comment & share!!! EMAIL UPDATES: Get daily updates & inspiration from Horse during the Pledge! Enter your email to get email updates sent directly to your inbox (see upper right hand navigation bar to sign up). PLEDGE TOOLS: BTW- if you want a little support to make the most of your Equi-Heart Pledge and you haven't yet grabbed your copy of the Wisdom Horse Meditation (to help you tune into the Wisdom of Horse) or the Equi-Heart Pledge E-Workbook (to track your Gems from Horse), then today's your best day to get started with them! You can get both for only $6, or $3.33 individually. The Half Way Point Check In! Day 15: Reclaiming Your Child-Like Essence! Day 14: Opening to Receive! Day 13: Following Your Destiny with Horse! Day 10: Healing Your Inner Child with Horse! Day 5: Ending the Revolt of Resistance! Day 4: Shattering the Illusion of Disappointment! Day 1: Set Your Global Heart Intention! How to Tune into the Wisdom of Horse? What are You a Healer Of?